The Jobmaster is Wesco's pride and joy when it comes to leather work boots. 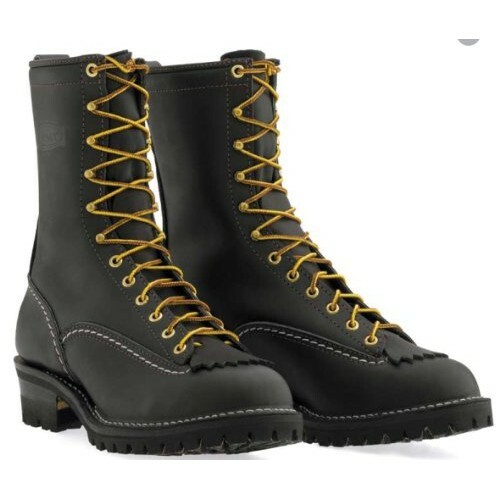 These ten inch workhorse boots are primed and ready for any possible situation you can come up with: construction work, manufacturing work, and much more. Oftentimes, you have to switch out your shoeware to suit whatever you are doing. This is not something you will have to do with the Jobmaster. It is a jack-of-all-trades boot, suitable for anyone from lumberjacks to coal miners. Extreme working conditions may tear at this boot, but seven ounces of full-grain leather means having a long time before you have to worry about replacing them. The Jobmaster's thick, white stitching enures your boots will stay sturdy and strong under the roughest of conditions. Ever had a problem with your work boots slipping on something and embarrassing you with a trip to the ground? Look no further that the Jobmaster, with its 100 Vibram lug sole, to steady your step as you hike, hunt, or just trek around. Brass hardware adorns these boots to give you a rough working-person look as well. Versatility is the name of the game for these Wesco legends. Not content to just provide a durable, sturdy, work boot, Wesco also added in sweat-resistant insoles for those whose work demands more than the average eight hour day. These water-resistant boots also work hard to keep your socks dry whether you are caught in a rainstorm or trekking along a river in the forest. After a long hike, your feet may be killing you. The Jobmaster's Poron insert hopes to alleviate that heel pain by absorbing those shocks to your feet as you climb over logs, rocks, and any other hazard in your way. The Jobmaster is the prime choice for anyone looking for a versatile, work boot. This boot can take you wherever you need to go: mountains, in the snow, the construction site, and much more. For an unbeatable boot designed for multitudes of situations, check out the Wesco Jobmaster! 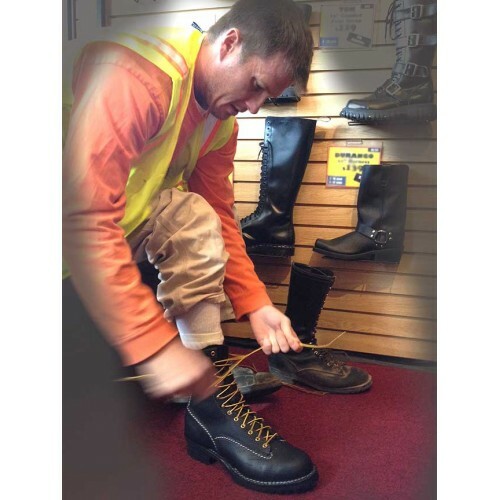 Stompers stocks the largest selection of sizes anywhere for Wesco's Jobmasters! If you prefer brown, check out our brown Jobmaster boots!